Ruby and Majesty: Treasure Team (Complete) – Old-School Dungeon Crawler with Local Co-op! 07/18/2018 06/17/2018 by River T.
Ruby Majesty Treasure Team is an awesome top-down dungeon crawler with local co-op! If you’ve played any retro dungeon crawler before, you’ll know exactly what to do. 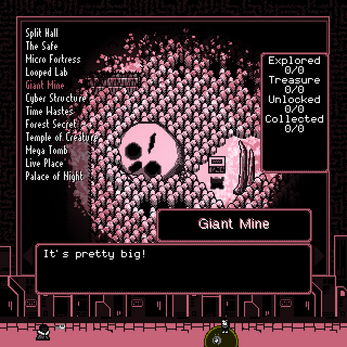 It features some old-school pixel artwork with lots of low-res effects. 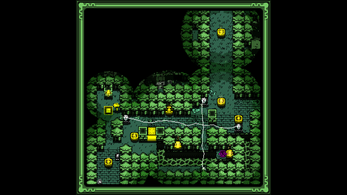 The game has you traveling through dungeons with tons of loot to grab and a lot of puzzles and hazards throughout each level. Each dungeon also has multiple paths so it’s not linear and a ton of interactions. Grab a friend and spend an evening together getting through the game’s 200 “action-packed” puzzles with a smashing OST to back it up! It’s a guaranteed good time! Even if you have no friends, it still has a single-player mode. But the game is much better with a friend though, as the game has two protagonists that have their own movement styles, skills, and pros/cons. You just go through each dungeon and solve the many puzzles and rescue cute characters all backed by a pulsing soundtrack wit nonstop pixel art action! It’s just one of those hidden gems of an indie game that you’ll want to try out. And it supports controllers also. There are two characters- Ruby can push blocks and hold items while Majesty can fly over hazards and moves quickly. IF you play with a friend, you have to take turns getting across each puzzle and work cooperatively. Seriously, there’s nothing much to say other than to just play the freaking game. So do it. You’ll have a blast!